Client-Server Technology : Software will be installed in Server and Nodes (Systems) connected to server can access the English language lab software. PC (Single system) : Software is installed in single system. 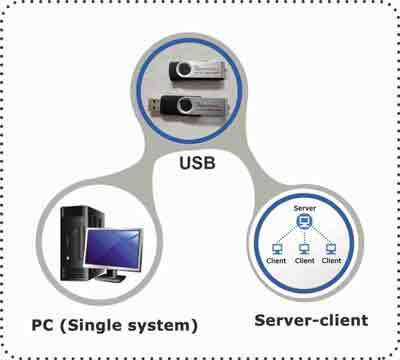 USB drive : English language lab software will be available in USB drive, and user can plug in USB and run software on any system.